CLTRELO is the best way to make a local move. Unlike the big guys in town, we are here to represent your best interest whether that’s a traditional sale or a competitive, instant offer. Plus, when you complete two real estate transactions with The Baxter Team by August 15, 2019 you will be entered to win a trip to London to witness history as the Carolina Panthers play internationally for the first time in the fall of 2019! When looking at the past few years, Charlotte has been one of the hottest markets in the country, which can be good and bad. If you’re selling your home, you have the advantage and can even obtain multiple offers when putting your house on the market. For a buyer, the current real estate market can be very frustrating especially if you need to sell your current home. With properties selling in a matter of hours to the highest cash offer, the whole thought of making a move can seem overwhelming. 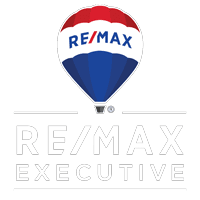 In response to the everchanging real estate market, The Baxter Team created a relocation program, CLTRELO, where Charlotte area homeowners have three options for making a local move because we understand one size doesn’t fit all. Over 90% of homes are still sold the old fashion way. Homes are listed with a local real estate agent and marketed to agents and buyers nationwide. This gives you maximum exposure and maximizes your sales price. Our team helps over 120 clients per year buy and sell their home this way and would love to help you do the same! The Baxter Team offers flexible listing packages, a concierge service, design team, and more! I am sure you have seen many agents that advertise this as a gimmick. It gets them in the door but then they offer 25-40% less than what your home is worth, because they don’t want to end up buying your home. They want to get your listing! Our Guaranteed Closing program is different and allows you to make a competitive offer on the home you want to buy. We list your home as a Traditional Sale but if it does not sell in time, we will buy it allowing you to move forward with your new home. If we end up selling your home at a profit, we will split it with you 50/50. Are you considering building a new home? If you answered yes, this is the program for you. This option is ideal if you’re interested in purchasing a new construction home as most builders will not take contingent contracts. Additionally, unlike any other team in the area, we have a new construction specialist to attend walk throughs and represent your best interests every step of the way. Visit our new construction page to learn more about Jerry Botelho, our new construction specialist. We’ve all seen the billboards and heard the commercials about receiving an instant offer on your home as-is, which is appealing especially when you’re looking for a quick closing. Just like the new guys in town, if simplicity is really what you are looking for, then we can accommodate that as well. There are some instances where timing is everything. If selling your home quickly without the hassle of buyers coming through your home is more important than selling your home at its maximum value, let us help you with that. Unlike the new guys in town, if we resell your home at a profit, we’ll split it with you! Terms, Conditions and restrictions apply.